Unmanned aerial systems (UAS), commonly called drones, have been making increasing impacts in the maritime domain. As the capabilities of these platforms have increased, so have their contributions to maritime science, defense, and industry. Recognizing this, the Alliance for Coastal Technologies (ACT) and the Northeastern Regional Association of Coastal and Ocean Observing Systems (NERACOOS), with support from the U.S. 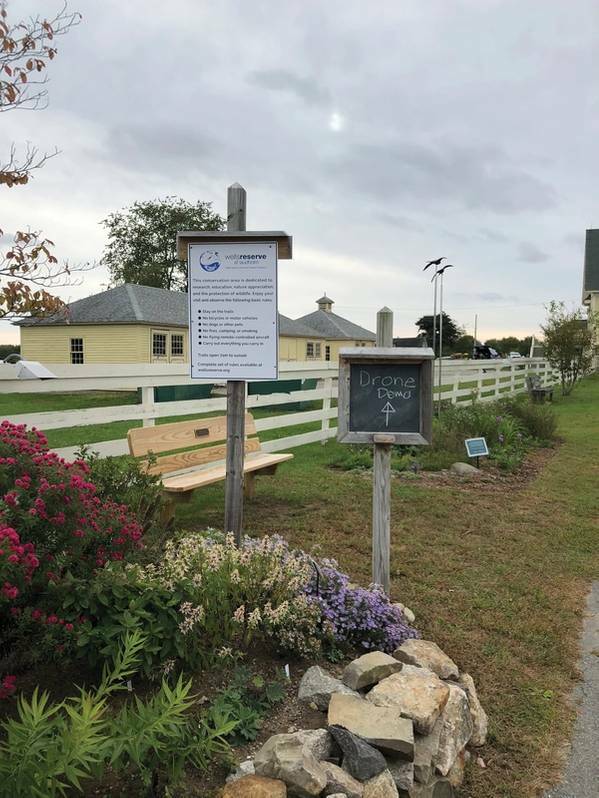 Integrated Ocean Observing System (IOOS), convened a workshop on Practical Uses for Drones to Address Management Problems in Coastal Zones at the Wells National Estuarine Research Reserve (WNERR) in Wells, Maine, in late 2018. The workshop was designed to facilitate sharing of information and best practices to support the rapidly expanding applications of drones in coastal management. The goals of the workshop were to summarize the state of technology in research- and monitoring-grade UAS, compile examples of current use in this area, understand the limitations and logistical challenges associated with UAS, develop operational and data management/analyses best practices, and describe future developments and applications for coastal ocean observing systems. A comprehensive workshop report is available from the ACT website (www.act-us.info). The workshop also sought to explore the challenges of truly quantitative multispectral and hyperspectral remote sensing in coastal marine environments and the legal and privacy issues associated with using drones in public and private lands and ocean spaces. UAS data or working on management issues that could be addressed with UAS. The first day of the workshop featured field demonstrations of three types of UAS: quadcopter, fixed wing, and hexacopter. • While UAS are a new tool for coastal management, their value has been demonstrated for a wide variety of applications such as habitat mapping, wildlife monitoring, detection of coral bleaching, shellfish management, marine debris detection, monitoring shoreline change, management of beaches and sand resources, mapping flood zones, and inspection of bridges and other structures. 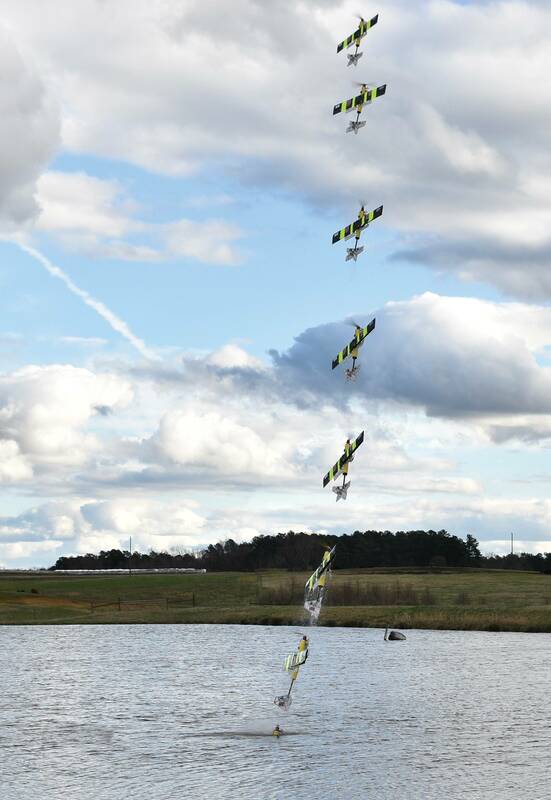 • UAS could also be useful in many other management contexts such as harmful algal bloom (HAB) detection and tracking, monitoring of human/animal interactions, water quality monitoring, pollutant tracking, and monitoring tidal marsh stability. • Managers are eager to use drones, but how to use them is not always well understood. It is important to begin by asking, “What is the management question or problem?” This will determine what data are needed and how they should be collected, which may be drones. • As with any data, drone data need to be translated into information, which can then be used for management. • Using drones to acquire accurate quantitative geospatial data is challenging and requires advanced technical skills and knowledge. Hiring experts in drone operations and data processing is typically necessary. • Best practices for using drones to collect geospatial data are well established. 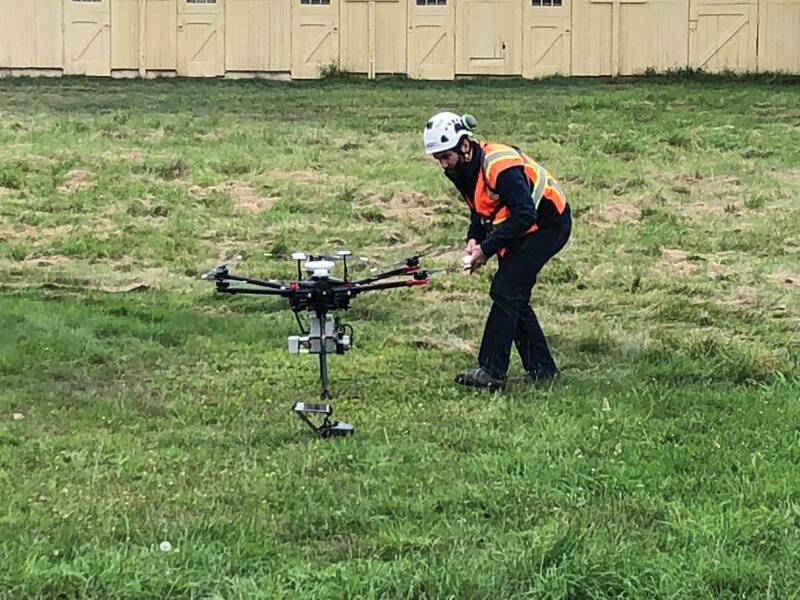 Guidance on best practices is available in publications such as the PrecisionHawk e-book Beyond the Edge, and the USGS Unmanned Aircraft Systems Data Management Plan 2015. • Workshop attendees identified short flight times due to battery constraints as one of the biggest limitations in drone technology at present. 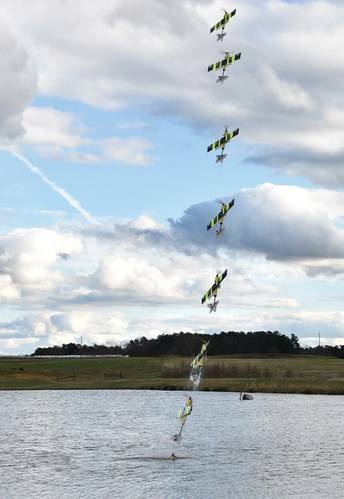 Other desired technological improvements include expanded payload capabilities, modularity to allow drones to carry different payloads/sensors, all-weather capabilities, “smarter” drones with situational awareness, increased data storage capacity, standardization of data types, improvements in data management such as on-board data processing, and capabilities that go beyond imagery and remote sensing, such as deploying water sampling devices. • Laws and regulations constrain the use of drones for ocean and coastal research and management. For example, drones can be flown only below 400 feet and must remain within the pilot’s line of sight at all times. Each drone must be flown by a dedicated, licensed pilot, meaning multiple drones cannot be controlled by a single pilot as in a swarm. Another important consideration is that uncertainty about potential changes in laws and regulations makes it difficult to plan research. • Testing and evaluation of UAS platforms and sensors by an independent entity such as ACT would be useful to researchers, managers, and technicians. There were several innovative technologies presented at the workshop. A key concern for all unmanned systems is payloads. 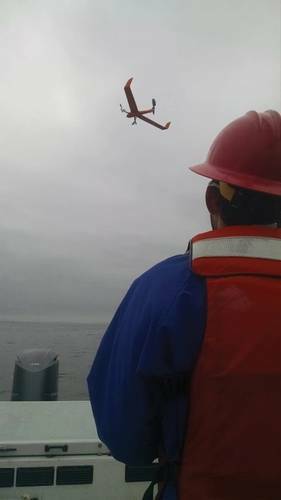 During this workshop researchers from the Monterey Bay Aquarium Research Institute (MBARI) discussed the use of a Flightwave Edge, a hybrid tricopter fixed-wing aircraft. It can take off and land using Vertical Take Off and Landing (VTOL) technology. It can also seamlessly transition from hover to forward flight and back again. Its swappable twist-lock payload system allows operators to fly multiple missions using a single aircraft. The MBARI operators used this drone combined with a FLIR imager for thermal front mapping. They also used very high-resolution cameras and were able to identify animals in the water, in this example jellyfish, as well as birds in flight. Another new technology discussed at the workshop was the SeaHawk from Igloo Innovations. There are two variants of this novel design, SeaHawk Alfa and SeaHawk Chimera. The Alfa looks much like a typical quadcopter and performs similarly in air. 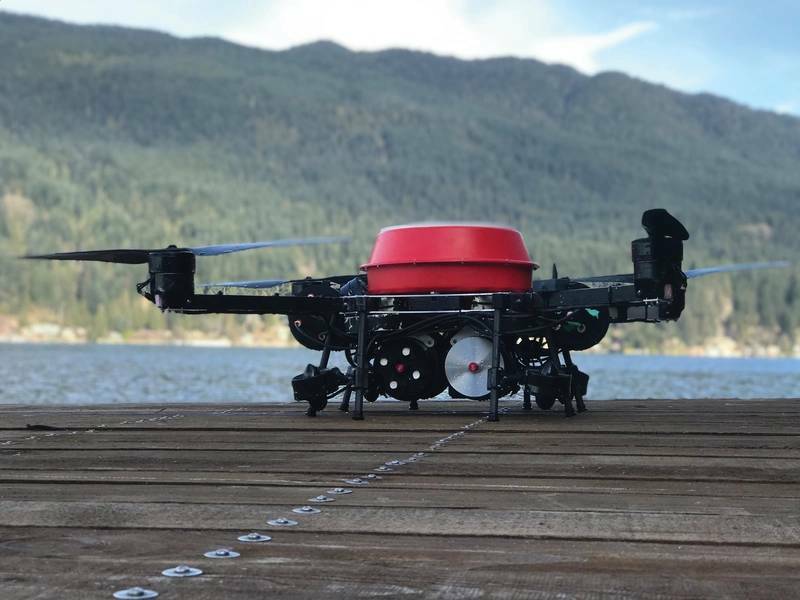 Unlike a quadcopter, atop the Alfa is a detachable buoy containing wireless telemetry to the control station. When the vehicle submerges, the buoy remains on the surface and tethered to the vehicle thus maintaining communication. The buoy may be removed for fully autonomous underwater operations. The Alfa has a payload capacity of 5 kg (10 lbs) and a maximum flight speed of 60 km/hr (37 mph). A dedicated underwater propulsion system moves the Alfa at speeds of up to 4 kts while submerged. Its operational depth is 50 m (150 ft), and it can operate for approximately 60 minutes combined in either medium. The Chimera appears similar to the Alfa, except that the vehicle stays at the surface and only the payload is deployed under water. With a payload capacity of up to 20 kg (40 lbs), the vehicle is intended as a modular platform to carry a wider range of payloads than the Alfa. For example, the payload can be an ROV or AUV providing advanced underwater capabilities. 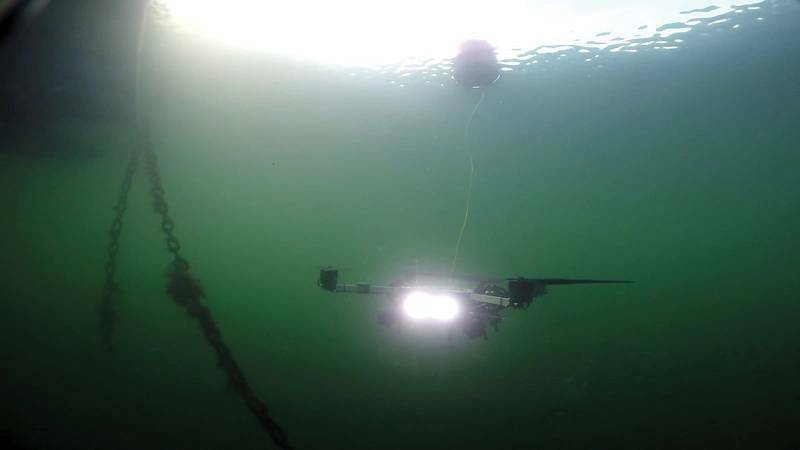 The Chimera can also hover above the water and lower down a sampling device to collect samples with minimal disturbance to the water surface. The discussions, demonstrations, and presentation of emerging technologies at the ACT workshop was impressive. Readers interested in more information may contact ACT.